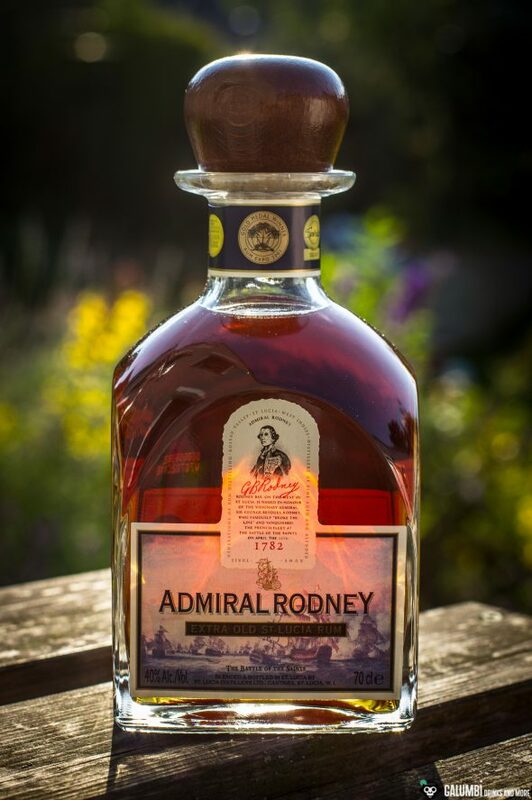 The name Admiral Rodney Extra Old also reveals a few more details. Besides St. Lucia’s obvious British colonial history (which is still reflected in its membership in the Commonwealth of Nations), we learn that we’re dealing with a matured rum. 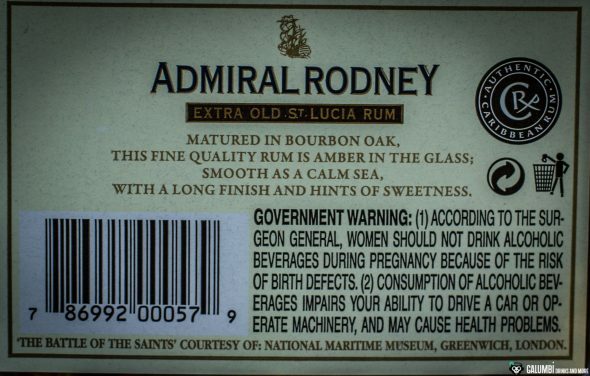 The exact age is not revealed on the label or in the name of the rum, but information about the approximate age of the rum can be found with some research. Depending on the source of information (data differs a little bit) the maturation age lies between 8 and 10 years. The rum was distilled on column distillation plants, which many associate primarily with the “Spanish rum style”. But St. Lucia proves once again that of course also former British Caribbean states use column distillation processes for their production of rum and that thinking in too narrow-minded categories does not really picture reality. The barrels are former bourbon barrels and the rum is bottled at an ABV of 40% vol. The St. Lucia Distillers pay increased attention to environmentally friendly and sustainable production, which is reflected in a sophisticated waste water management and a bottle recycling system. So if you want to consider such arguments in your purchase decision, you may find this information interesting. Aroma: On the nose, the oak is immediately present with notes of vanilla, cinnamon and spices. It is accompanied by clear honey, light notes of bananas, guavas, yellow plums and some caramel. Taste: Woody oak tones with vanilla, caramel, brown cane sugar and spices (especially cinnamon and nutmeg stand out) also dominate here. 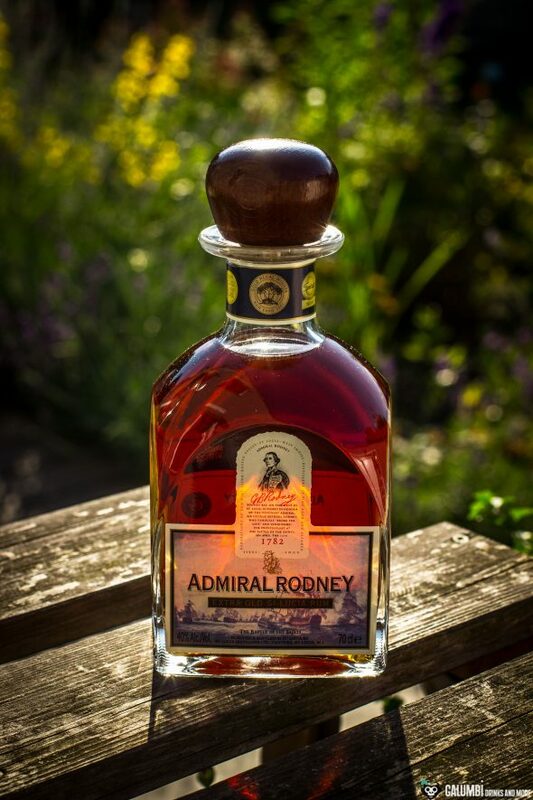 The fruit notes found in the aroma of the Admiral Rodney rum have almost completely disappeared (though I do find a little baked banana in the background); instead, associations of freshly stirred cake dough come to mind. Finish: medium long, oak and spices, dry and mellow. 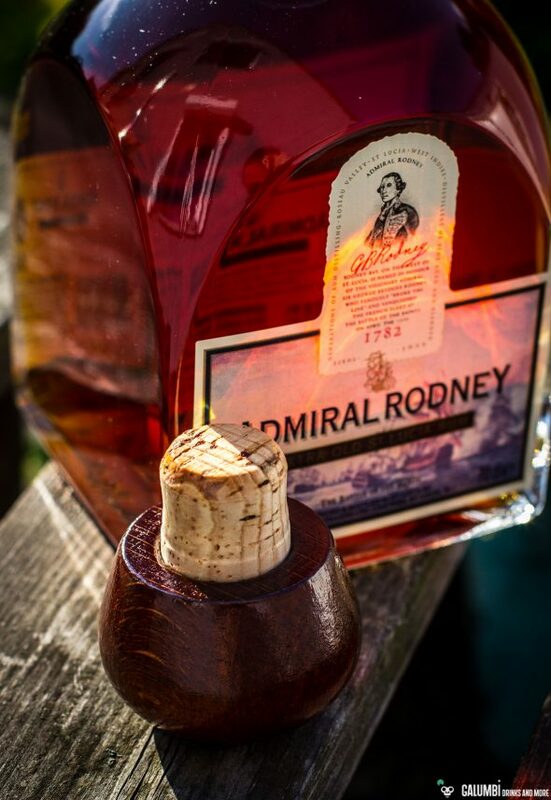 Admiral Rodney is a solid, high-quality and very well-balanced rum, you can’t do anything wrong when buying it. 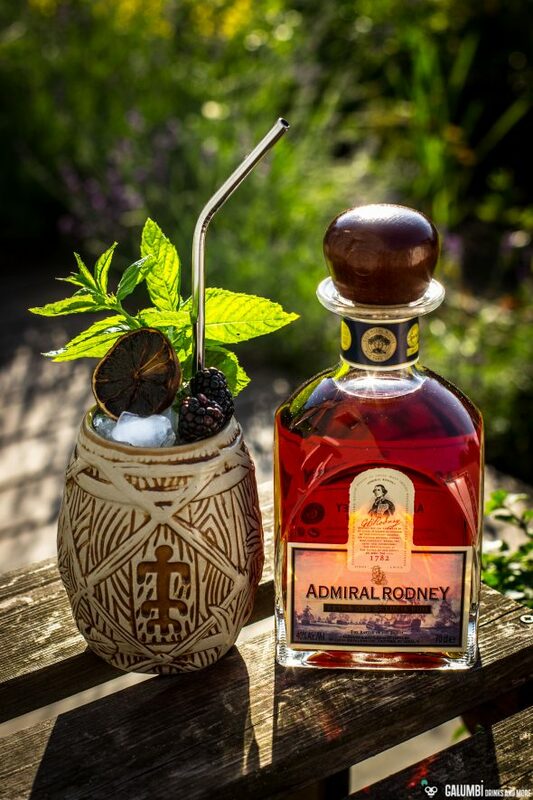 Anyone with a heart for rum will most likely appreciate the Admiral Rodney. For the price of around 50€ you’ll get a really high-quality which does not come too capricious. As a cocktail ingredient I’ve used it in a Rum Runner, a cocktail which is more known in the US than in Europe, which is said to have been invented in Florida in the 1950s. 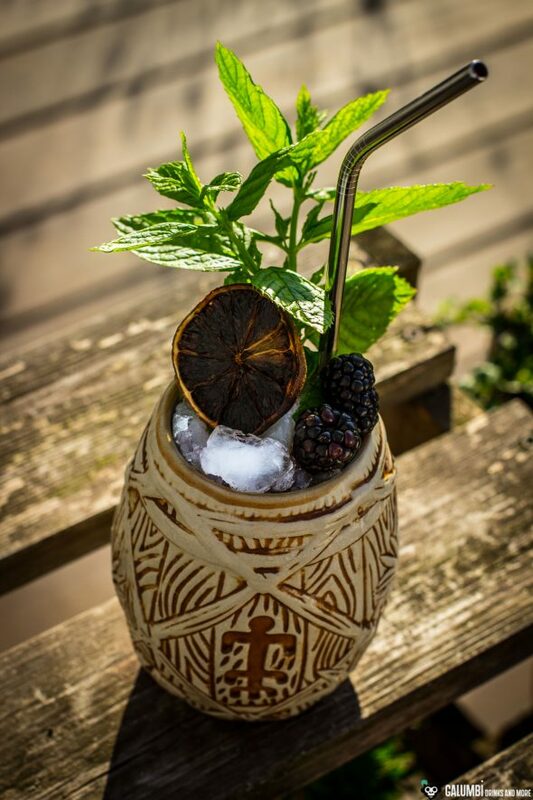 There are numerous preparation variants for the Rum Runner, which sometimes also use white rum and spiced rum. I’ve decided otherwise and also omitted pineapple juice, but opted for a rum flavored with pineapple (the fantastic Plantation Pineapple Stiggins’ Fancy Original Dark). 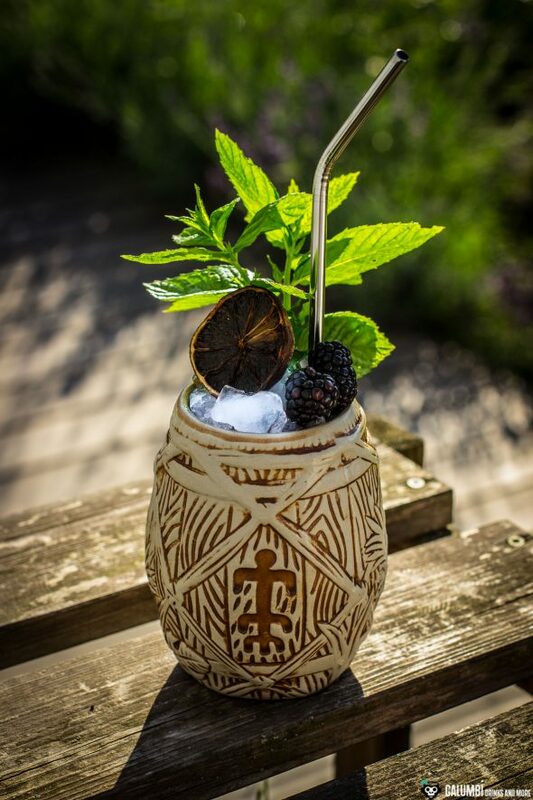 The result is a tasty-exotic Tiki drink that perfectly fits into the summer. Preparation: Shake all ingredients except for the Falernum in a shaker on ice. 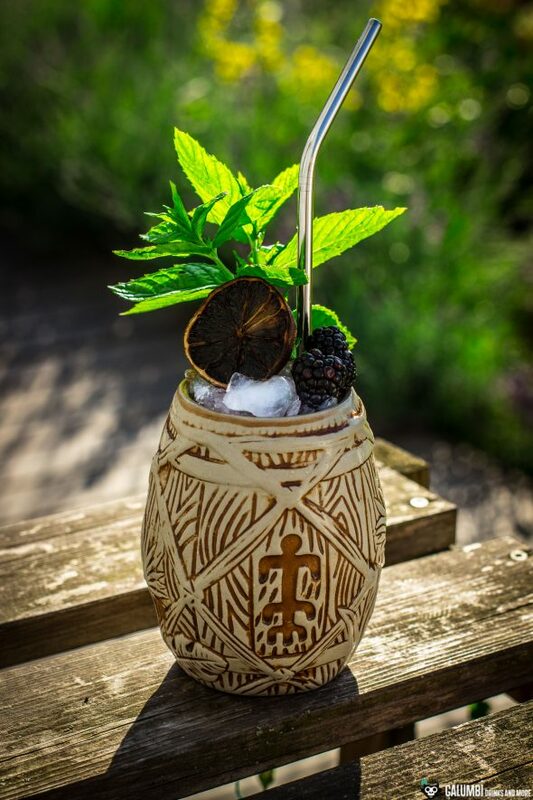 Pour into a glass or a Tiki mug filled with crushed ice and top with Falernum.